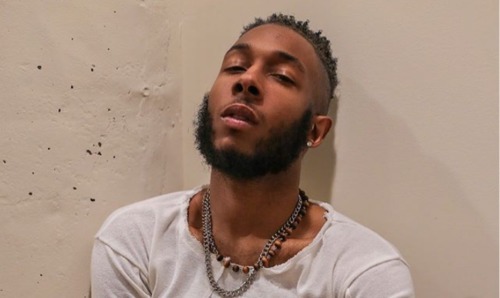 A former gospel singer turned R&B crooner has come out as bisexual. Terrence Stone, formerly known as Aaron Thomas, opened up in an interview with Philadelphia Magazine. The 27 year-old Philadelphia native revealed to the publication that he felt negatively judged and controlled by the gospel music world, and was finally ready to start living a more authentic life. Stone, as Thomas, started performing at just 4 years of age, honing his craft in church. He has appeared on the shows American Idol, BET’s Sunday Best, and Showtime at the Apollo. He said his upbringing was a “sheltered” one, and the environment made it difficult to be himself. The repression and denial of his true self caused him mental health issues, but he said going through those struggles helped him to grow. He believes his new identity in a new genre will help him continue that growth journey. Stone has some advice for others who might be struggling to live more openly. Stone also recorded a video message that he posted to Instagram explaining why he had changed his name and his sound, which you can watch below. “I pray it impacts somebody’s life,” he said.